What is it? 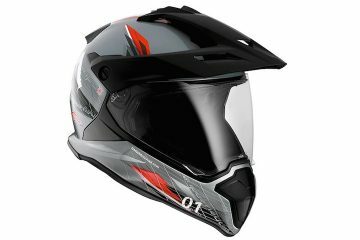 A premium flip front touring helmet. 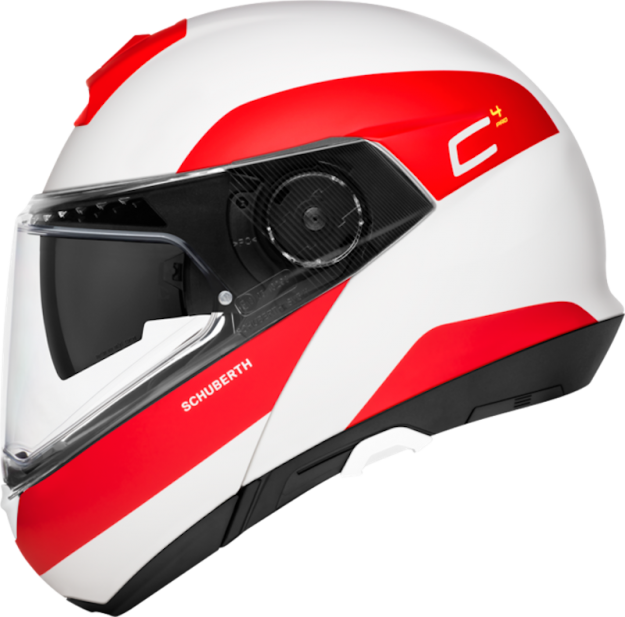 There are some things in this world that you just look at and say ‘wow’, and the Schuberth C4 Pro is one of those. 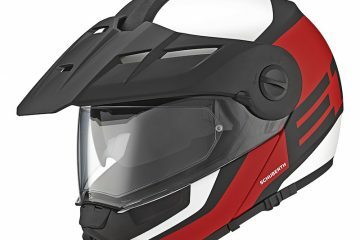 At £529.99, this is one of the most expensive flip front helmets on the market, and boy does it have a premium air about it. 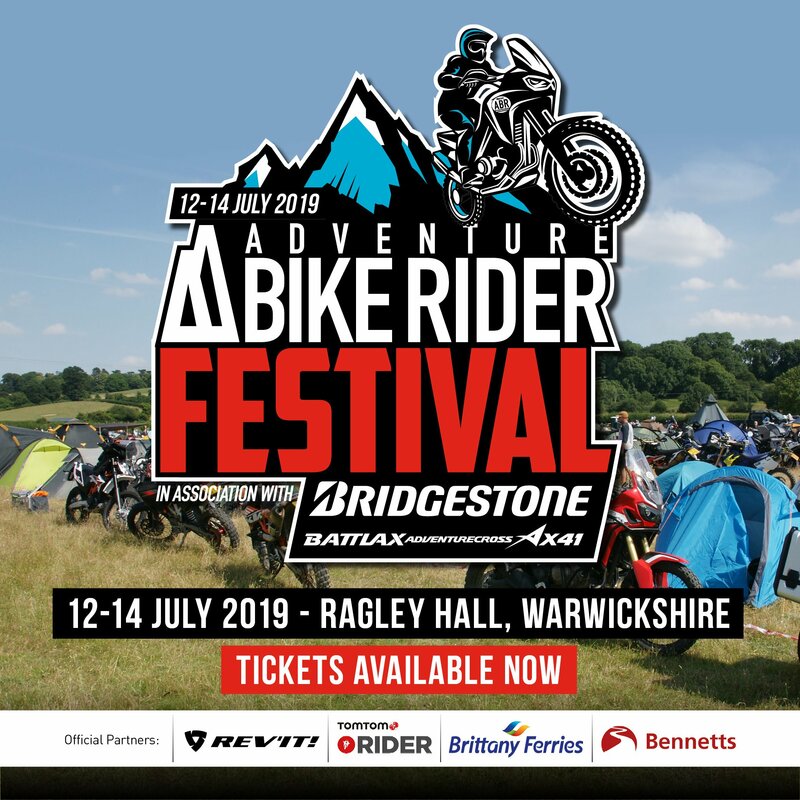 Designed to offer exceptional levels of comfort and quiet, the C4 Pro is the ideal touring helmet for those that have the cash. Picking the C4 Pro up, it’s clear to see that this is a well-designed and well-made lid. The first thing that caught my eye was the Coolmax lining. Removable, anti-bacterial, and quick-drying, this material looks and feels as though it’s been cut straight from the finest, softest wears of the land. Sliding your head into it is a delight. 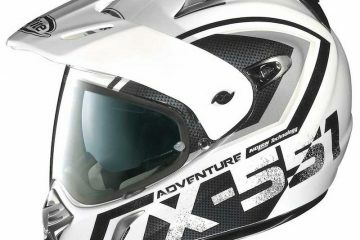 Once on, providing the shape of the helmet is agreeable with the shape of your noggin, the C4 Pro is quite simply a pleasure to wear. 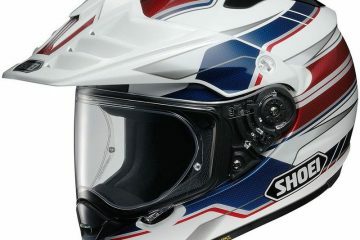 Looking through the visor, and you get a large, unrestricted field of vision. As you would expect for the price, you also get a Pinlock 120 anti-fog insert as standard. 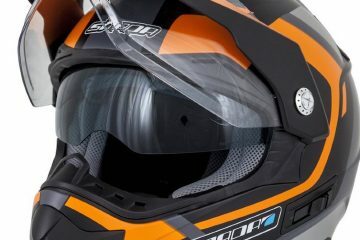 There us also an integrated sun visor will have you covered on sunny days, dropping down just the right amount. The flip-front feature is easy and hassle-free to use with a single gloved-up hand. So is the internal drop-down sun visor, which is operable via a nicely-placed slider on the left-hand side. Ventilation is also well thought of, with large, closable inlets on the chin bar and brow. 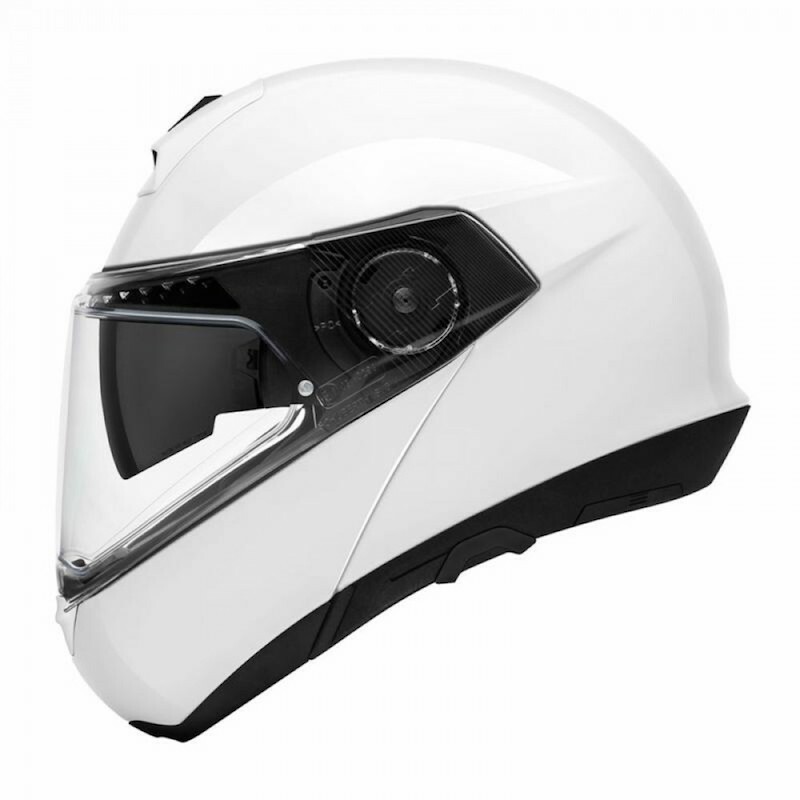 If you’re looking for a new touring helmet, it’s well worth considering the Schuberth C4 Pro. It’s a luxury product, and I’m looking forward to covering some miles in it over the next few months.